Do you have a Kenmore washer that sounds off-balance every time you do a load of clothes? Or have you noticed that our Kenmore washer is leaking? If any of these issues or any other issues are causing you issues then it is time to call Service Masters Appliance in Santa Clarita and Valencia to help you fix the problem once and for all. A Kenmore washer is not a cheap appliance, but there is no reason to panic or rush out to replace it. We offer service solutions for almost any issue that can arise with a Kenmore washer so that with just one visit your machine is back in proper working order. Service Masers Appliance serves a broad range of customers and has all of the parts necessary on hand or easily ordered for all Kenmore washers. We have expert trained technicians that are used to working with Kenmore washers that will be able to troubleshoot the issue in just a small amount of time. If you give us a call we can come out and asses the problem with your Kenmore washer. Once we know what is wrong we will gladly offer you a quote and get you on your ways toward washing your clothes without any concerns again. We proudly serve a large variety of cities including Valencia, Sand Canyon, Stevenson Ranch, Newhall Ranch, and Santa Clarita. 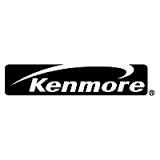 We also are happy to come out and offer Kenmore repair services to many surrounding areas including the zip codes of 91386, 91350, 91310, 91351, 91387, 91384, 91321, 91382, 91380, 91383, 91390, 91385, 91390, 91355, and 91354. In addition, all of our technicians are local and live in the Santa Clarita and Valencia area.